From autonomous driving and networked industrial processes, to fitness armbands that monitor our health - now more than ever, electronics is a permanent part of our lives. From 8th-11th November, once again exhibitors will show the world a glimpse of what the future has in store for us at electronica 2016. 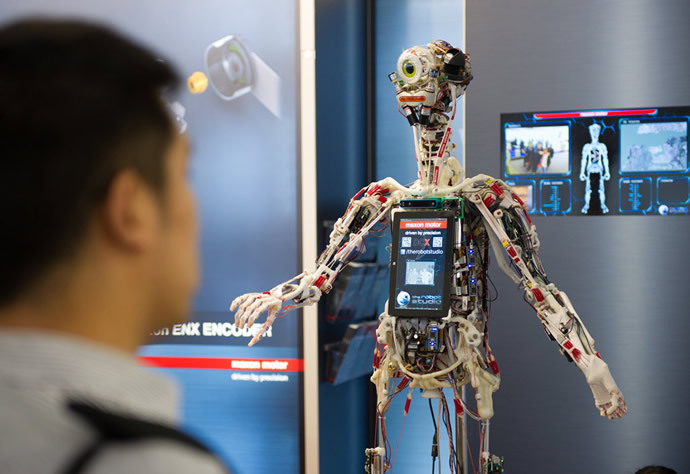 With a close eye on the latest trends, electronica 2016 will revolve around topics such as automotive, embedded systems, LEDs, wearables and healthcare as well as cyber security and the Internet of Things (IoT). It will present the entire range of electronics solutions from semiconductors, sensors and passive components to PCBs and system components. As well as twelve halls of innovations, there will also be an extensive programme of conferences and supporting events. A number of changes and main topics have already been decided. The Lighting Forum at electronica 2014 laid the foundation for a strategic partnership between Messe München and Luger Research that will be continued in the long term. Falk Senger, Managing Director at Messe München said: “Luger Research is a strong strategic partner. In the future, it will support Messe München’s electronics network with expert knowledge in the sector for solid-state lighting. This collaboration means a great deal of added value both for our trade fairs and above all for our exhibitors and visitors.” Plans call for expansion of the Lighting Forum at electronica 2016. Luger Research is organising a day with expert presentations and discussions on the latest topics in the solid-state lighting sector. During the past few years, the Embedded Platforms Conference proved itself as an ideas pool for hardware and software developers, system designers, product managers, development managers and much more. The 2016 conference will focus on the following topics - hardware platforms and hardware components for embedded systems, software and tools for embedded development and optimisation, and standards and legal provisions for embedded systems. Among leading executives in the automotive sector, the electronica Automotive Conference is a highly regarded part of the conference programme. The day before the fair begins the experts at the conference will talk about topics that will play a key role for the industry in the future. The focus of the 2016 conference will be on security, automated driving and interior electronics. Besides the two conferences, visitors can also look forward to IT2Industry, the Wireless Congress, the electronica Forum, the electronica Automotive Forum, the Exhibitor Forum and the PCB & Components Marketplace. electronica 2016 will also feature an additional hall – bringing the number of occupied halls to 13. Angela Marten, electronics's Exhibition Director, commented: “electronica is taking the needs of the industry into account with an additional hall as well as with new elements such as the Embedded Platforms Village and the electronica Start-up Platform.” The most rapidly growing sectors are semiconductors, power supplies as well as PCBs and other circuit carriers and EMS, followed by embedded systems. Marten added: “Adding another hall to electronica gives exhibitors an opportunity to increase the size of their stands and allows us to include new exhibitors.” As a result, the hall assignments have been changed. The sectors for PCBs, other circuit carriers and EMS will occupy two entire halls, i.e. B4 and C4. Hall C4 is located directly next to the North Entrance, giving visitors quick and easy access to the latest product developments and innovations. Power Supplies are the focus of exhibits in Halls A2 and A3. And Electromechanics/System Periphery is moving into Halls B2 and B3. The new Embedded Platforms Village gives the embedded sector an additional highlight. Companies participating in this joint exhibition stand can present their know-how and share their knowledge with the community at the Embedded Platforms Conference. The conference takes place at the Press Centre East on 9th-10th November. Start-ups provide important impetus for economic and employment growth. However, they often face major challenges when it comes to finding the right partner for their own ideas or securing financing. Organised in conjunction with ‘Elektor’ magazine, the electronica Start-up Platform gives the fair a new forum that brings the concentrated innovative strength and solution expertise of start-ups together with interested industries at a single location. With more than 2,700 exhibitors, the fair gives start-up companies access to plenty of potential business partners and investors and allows them to present their innovative ideas, projects and products to international industry representatives in pitches, demonstrations and personal discussions. What is important when taking first steps, how can companies secure financing, and what should start-ups pay attention to? A special lecture programme will give participants answers to these questions and more. For the first time ever, the electronica Start-up Award will also be presented. After its successful launch as a conference that was held in conjunction with electronica in 2014, IT2Industry will present products and services that pertain to the IoT at this year’s fair. Among other things, the International Trade Fair and Open Conference for Intelligent, Digitally Networked Working Environments will cover topics such as the smart factory, M2M communication, industry software and systems, big data (the Cloud) and industrial IT security. 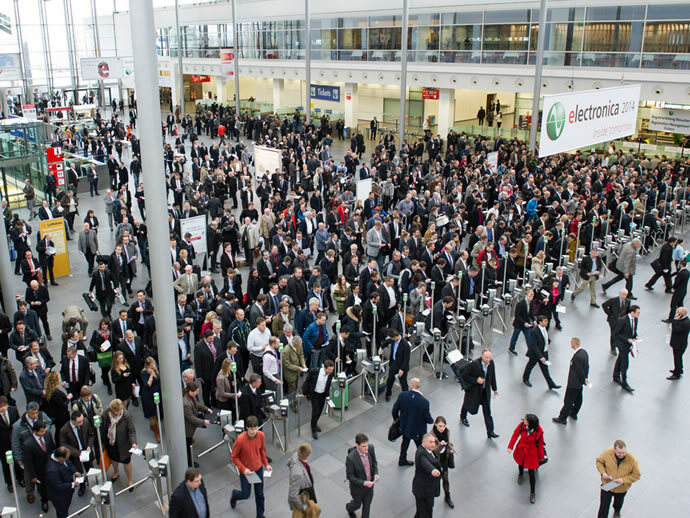 IT2Industry takes place at the Messe München at the same time as electronica. CES 2016 – what will be the hot topics next year?